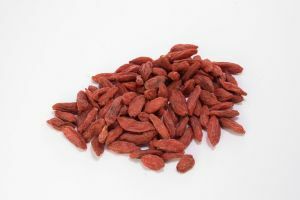 Goji berries grow naturally on the Himalayan mountains, in wonderful landscapes that relatively few Westerners have ever seen, as well as in temperate and subtropical regions of China, Mongolia and Nepal. Nowadays, large scale production is done in the fertile margins of the Yellow river. Gojis are the fruit of a green shrub of the Solonaceae family. Gojis are sweet in taste and neutral in nature. The taste vaguely remembers a kind of combination of raisins and cherries. They act on the liver, lungs, kidney channels and enrich yin. These berries can be eaten raw, brewed into a tea, or prepared as a tincture or infusion. They are shriveled red berries that look like red raisins and usually found in dried form. 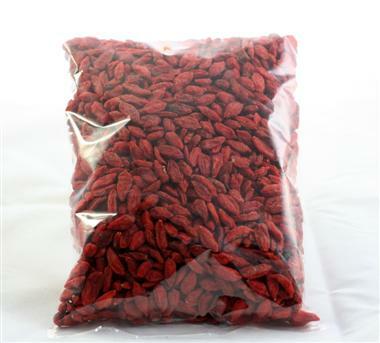 Our gojis are sold only in dried form. Due to its rich nutritional values, they are considered a super food.